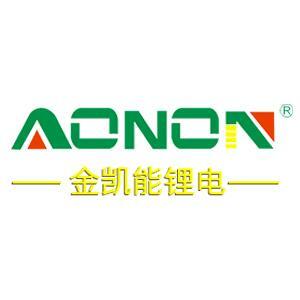 Welcome To The Official Website Of Shenzhen JKN Battery Co., Ltd.! 5th battery and 7th .. The 5th and 7th batteries are battery types defined from the battery model perspective. Since batteries No. 5 and No. 7 are the most frequently encountered necessities, it is important to understand these two batteries. When it comes to how many "number" batteries, usually refers to a cylindrical battery, therefore, from the battery size to understand the parameters of the 5th battery and the 7th battery is the diameter and height. The size of the 5th and 7th batteries can also be extended to rechargeable batteries; the most common one is nickel-metal hydride batteries. Ni-cadmium batteries are rare in the market because of the pollution of cadmium. Sometimes people will hear the 5th lithium battery this product, which is actually an analogy of the people, the so-called 5th lithium battery is the official name of the 14500 lithium battery, according to the lithium battery naming method which is a diameter of 14.0mm, height For a 50.0mm lithium battery, check if this size is basically the same as the 5th battery size specified in the primary battery. The reason why there is an analogy is that he has not heard of No. 7 lithium battery. Whether it is a rechargeable battery or a primary battery, although the external dimensions of the No. 5 battery and the No. 7 battery are specified, their energy is definitely different. Take a battery comparison, alkaline 5 and 7 batteries are 4 to 5 times the same type of carbon battery, even if the same model of the battery, because the battery manufacturer's product formula is different, in different manufacturers of the same type of battery In contrast, there will be significant differences. Looking again at rechargeable batteries, NiMH 5 and 7 batteries can be twice as large as nickel-cadmium batteries of the same type, and 14500 lithium batteries can be considered as No. 5 batteries. Then, the total output power of this type 5 lithium battery is more than twice that of nickel-metal hydride batteries. In use, the rechargeable batteries No. 5 and No. 7 can be used for high-current discharge and are also more durable than primary batteries. The 5th battery and the 7th battery are the most common battery types, and are closely related to people's daily life. Moreover, the 5th battery and the 7th battery in the rechargeable battery can also be combined to apply the 5th battery and the 7th battery. Advance to a broader area of production and life. Home>News>Battery knowledge>5th battery and 7th ..